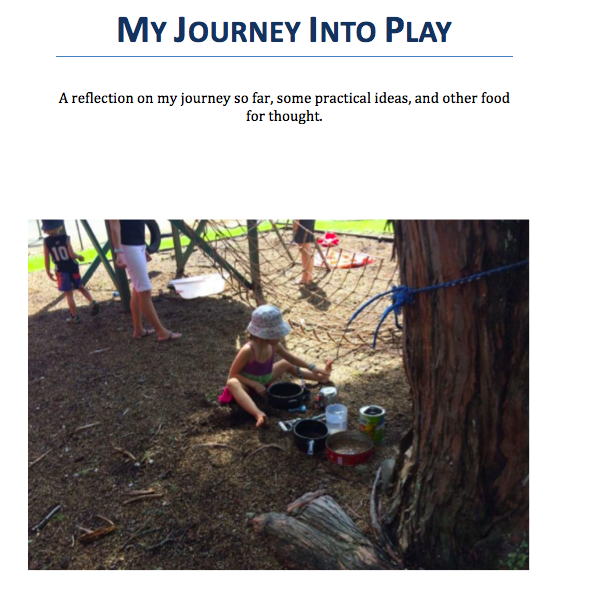 Another post got me thinking about what I think has been the crucial elements of a play-based classroom that has self-directed play at its heart, but also has teacher directed elements that children are also deeply engaged in. So why is this, why do I think we've been able to achieve a play-based class that so far ticks along in a lovely balanced way? 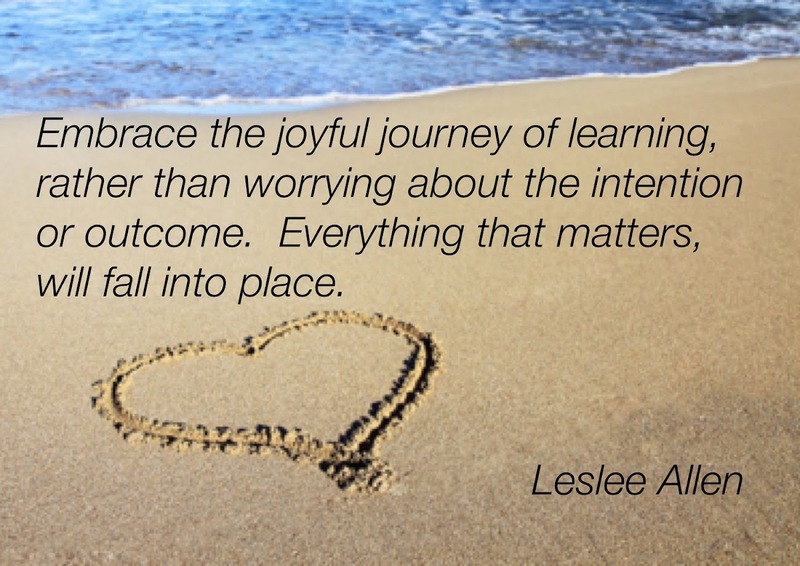 So I should say first that I am no expert and the way I have set up my play-based class is just me following my gut...I am myself only 18 months into this journey, I am by no means an expert. 1)To begin the year children are just allowed to play...we do not take any specific teacher directed sessions, we just let them settle in. 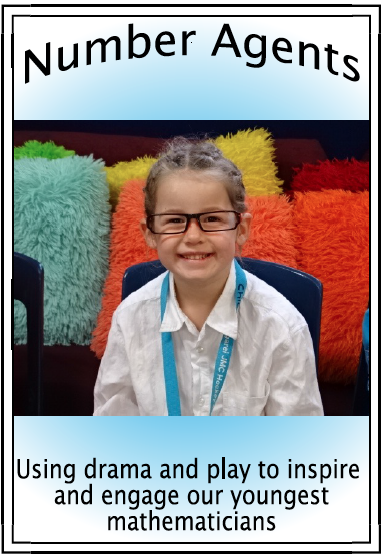 2)We start straight away using drama games, these are awesome for encouraging learning talk. 3)We use class dojo big idea videos. 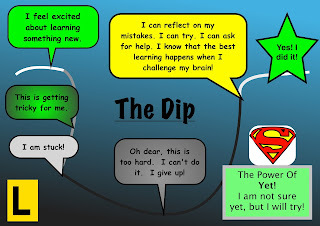 These are based on growth mindset and persistence. The children love love love them. We really focus on our brain being like a muscle and challenge being good for us. 4)We create our own little videos with the puppets, the puppets talk about having the same worries and issues that our new entrant children may have, we then help them with these issues. 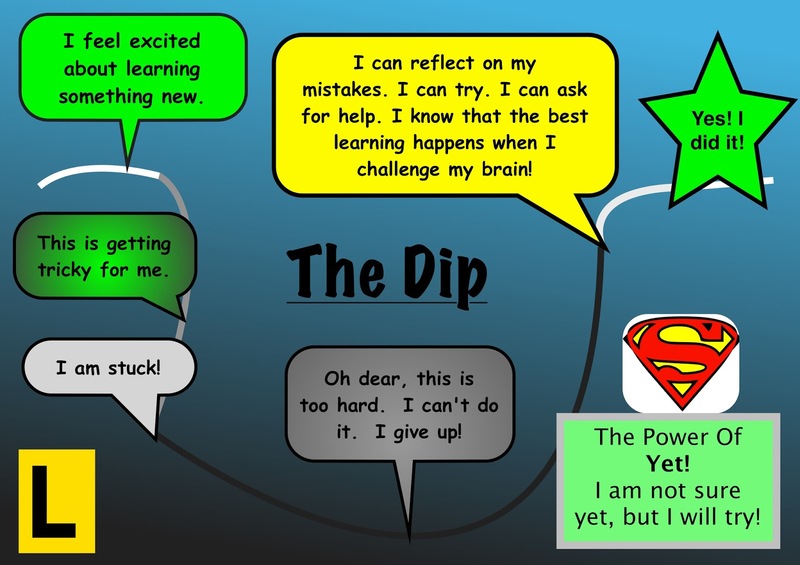 Our resident puppet explores the dip and we help identify where she may be in the dip based on what her learning talk sounds like. We have a little laminated picture of her that we can move through this dip. 6)For the first few weeks we watch the children. We use the way they play to help us gauge their readiness for reading. When they are playing genuinely with others and displaying focus and persistence we use this as one of our indicators. 7)We may not start reading with a child for up to three months. To start with we just allow them to be. They take home a pack of nursery rhymes and some alphabet activities and we encourage parents to just spend time with this if they are keen. 8)Any teacher directed sessions are quick, no more than 15 min to start with. Phonics is the only thing we meet for every day to begin with. 9)We do not use worksheets or any other teacher driven busy work at all. 10)Most of our learning just revolves around talking. We encourage children to notice things. We really focus on oral language and opportunities to talk. We really focus on hearing sounds, hearing rhyme and environmental sounds. 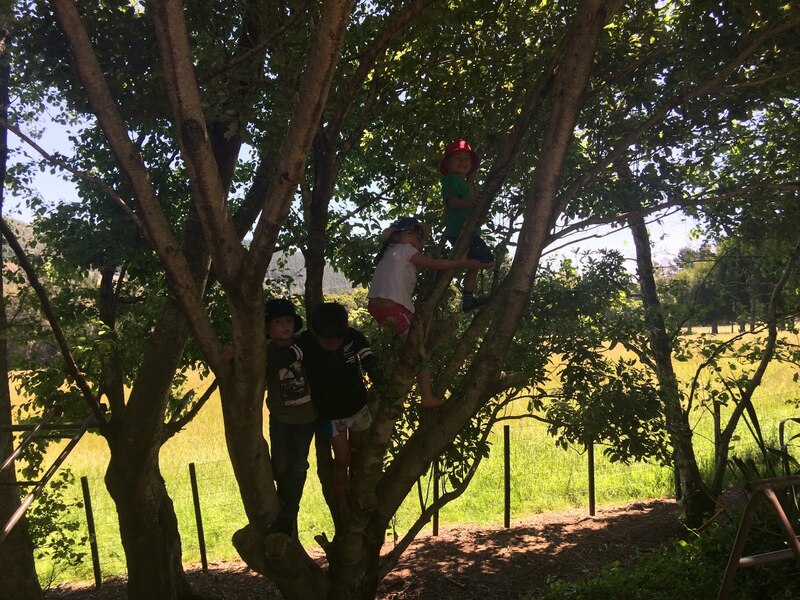 11)We play outside as much as possible and are lucky to have a close outdoor space that children can use most days if it isn't raining. 12)We take photos of the play as much as possible and when we come back together will share these photos on the screen and talk about the play....talk about positives and any problems faced. 14) We take the first six weeks to learn the components of what we call daily six. We then can weave these throughout the day as and when needed. 15) We start reading in week three only with the children that are ready. We read individually with them during the morning as and when appropriate. They self-select books and have their own little goals. 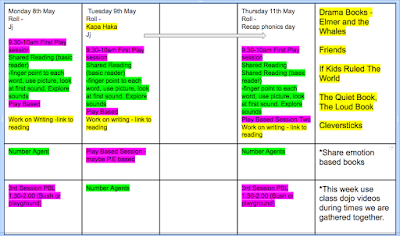 16) We build up slowly to Number Agents, we use drama games, we hook them in, then we build belief...direct 'maths' teaching did not really start till week 6. 17) We appreciate that a lot of maths and literacy learning happens within play-based sessions. 18) At the start of the year and again at the start of each term we use kindness as focus, this year we focused on bucket filling. We also take the opportunity to talk about and understand emotions using picture books. 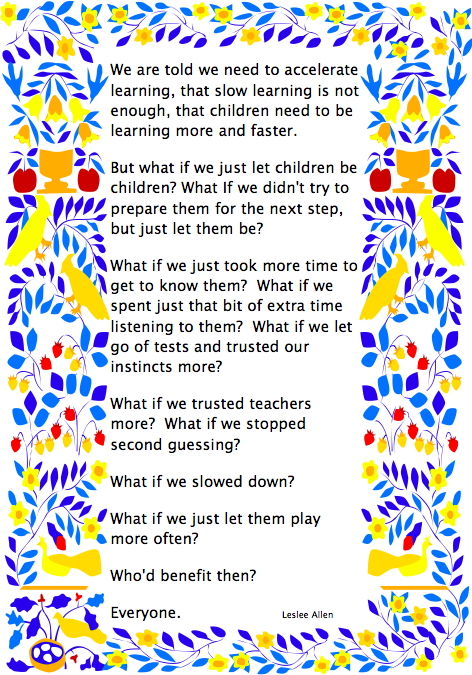 20)Most of all, we just slow down...we allow children to lead...if something timetabled does not happen, we don't worry about it...our focus is on social, emotional and cognitive growth through play. We have faith that if we can provide opportunities for this to happen, that the 'academic' learning will come later. This is a screenshot of our timetable for next week, it does not differ much from Term 1. This is our focus mind map for this term. I am happy to help wherever I can and for those in Whangarei to visit and talk if that would be beneficial. Some more thoughts on writing...and some tips.